To change to different life style, establish a business, or succeed at a challenging project, we must realize that all meaningful and lasting changes occur first in our visions and then they work their way into reality. 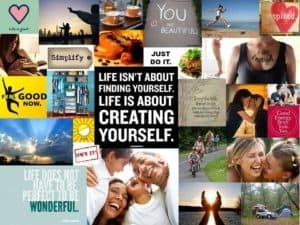 Vision boards are visual representations of your goals and desires. They can be made a number of different ways, but their main purpose is to assist you in seeing, and thus feeling, how you want to feel when your goals are achieved. Athletes, Celebrities, Millionaires, Leaders, Dreamers have used Vision Boards. Put your kids through college? Purchase that new car and finally get rid of the clunker? Take care of your parents? Take that beautiful deserving vacation? This hands on workshop breaks the barriers to your imagination and enhances your drive, strive and thrive in life. We will explore where to start and how to create a vision board that will motivate you as well as keep you on track to reaching your goals. Pictures will become symbols of your success, rewards, and opportunities for you life. All materials (large foam board, a multitude of magazines to clip pictures, phrases, and words from, scissors, and glue) You may bring some of your own pictures. "Whatever the mind can conceive and believe, it can achieve." Looking to Book a Private Workshop? for your staff, non-profit, sorority, etc. Great for team building. 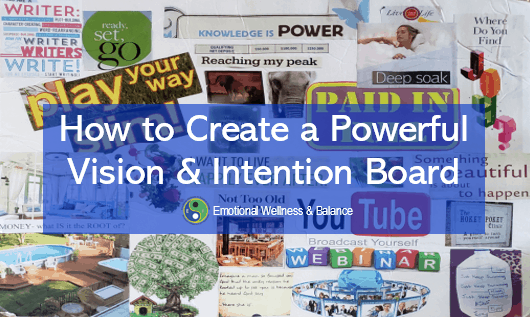 Looking to attend a Vision Board Workshop? for yourself, spouse, friend, etc. Contact Cynthia to discuss your needs by filling out the contact form or calling her today!